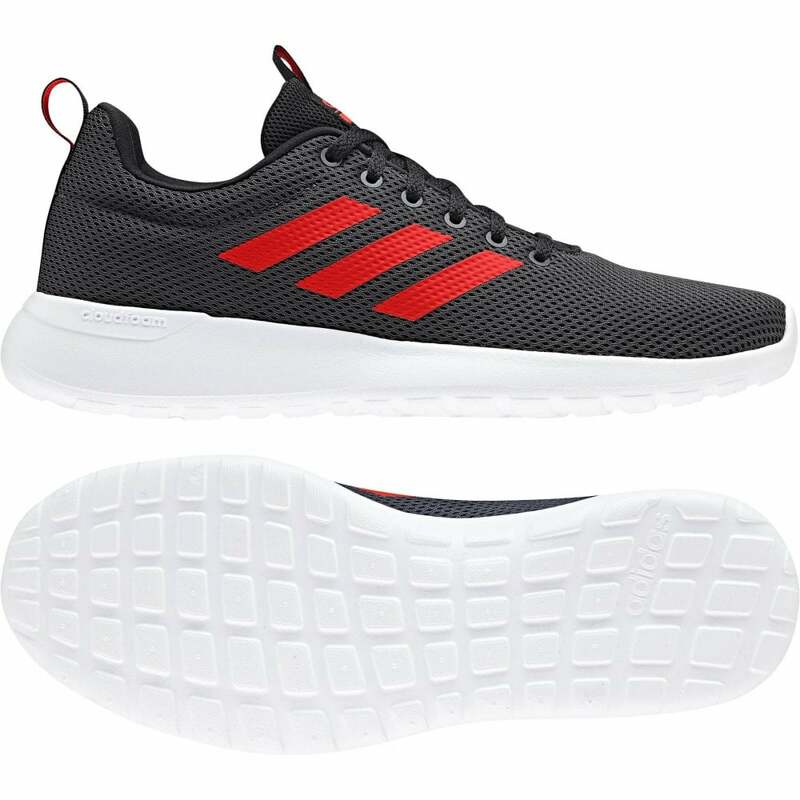 These lace-up ADIDAS Lite Racer CLN Trainers have a textile and synthetic mesh upper for added breathability and are carbon grey in colour with red detail. They have a padded textile lining with an ultra-soft cloudfoam cushioning insole and pull loops at the heel and tongue. ADIDAS branding appears at the tongue, side and sole. It has a thick, rubber sole in white, with a textured waffle tread for added grip. Please note that all products are listed and sold in UK sizes. We accept all major credit/debit cards for payment as well as PayPal. If your credit/debit card is rejected by our online payment processing systems, please double-check that all the details you entered on the website were correct. Your Personal information such as name and address must match the cardholder address details held by your card issuer. If the problem persists, please contact your credit/debit card provider. If the payment is not authorised by your bank or card issuer then the order will not be complete and Loofe’s clothing will not be able to complete the order. Please note that some issuing banks may still reserve your funds for a period of time. All credit and debit card holders are subject to validation and authorisation by both us and the card issuer, to maintain security and prevent fraud. This process in some cases may cause a delay in the processing of your order, Loofe’s Clothing will not be held accountable for any orders delayed during security and fraud checks. We work with Sage Pay to delivery essential service to our customer. Sage Pay is the fastest payment service provider that specialises in secure card payments solutions. At checkout please provide a phone number so that we can call once your order is ready to collect. Please note that the number you provide will need to be reachable between office hours and weekends so a mobile number is recommended. Delivery address: At checkout, you will be prompted to enter a delivery address. The delivery address cannot be altered after the order is placed. Dispatch Time: We then aim to dispatch your item within 1-2 business days, please note that we only dispatch orders Monday to Friday. Next Day Dispatch orders are sent out within 1 working day Mon-Fri via the Royal Mail Tracked 24 Signed For service. Please note: We do not currently have any arrangements with the Post Office or any parcel shops for orders to be sent to for customer collection.If you do put a post office or parcel shop as your delivery address so you can collect your order from those locations it will be at your own risk. Click Here for our returns and exchange form, our returns address can be found on the form. For faulty items please contact us HERE to receive a free post label. We offer a 30 days returns policy for unwanted or mistake order however please note that due to hygiene reasons we do not accept returns on underwear items. Click Here to read our full returns policy and T's&C's concerning returns and exchanges. © 2019 Loofes. All Rights Reserved.